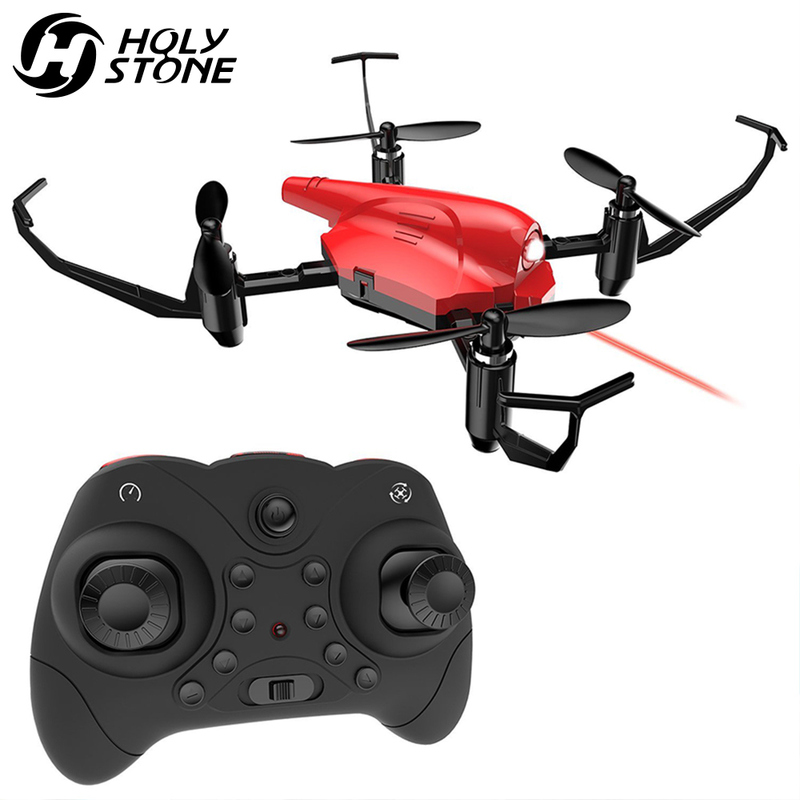 HS177 features drone a new function: Infrared Battle, prompt your kid's attention to an interesting form of remote controlled fun! It uses infrared beams that can"hit" the opponent drones without actually damage. Built with 2.4GHz frequency, enable you to play with your kids. New to the drone? No worry! 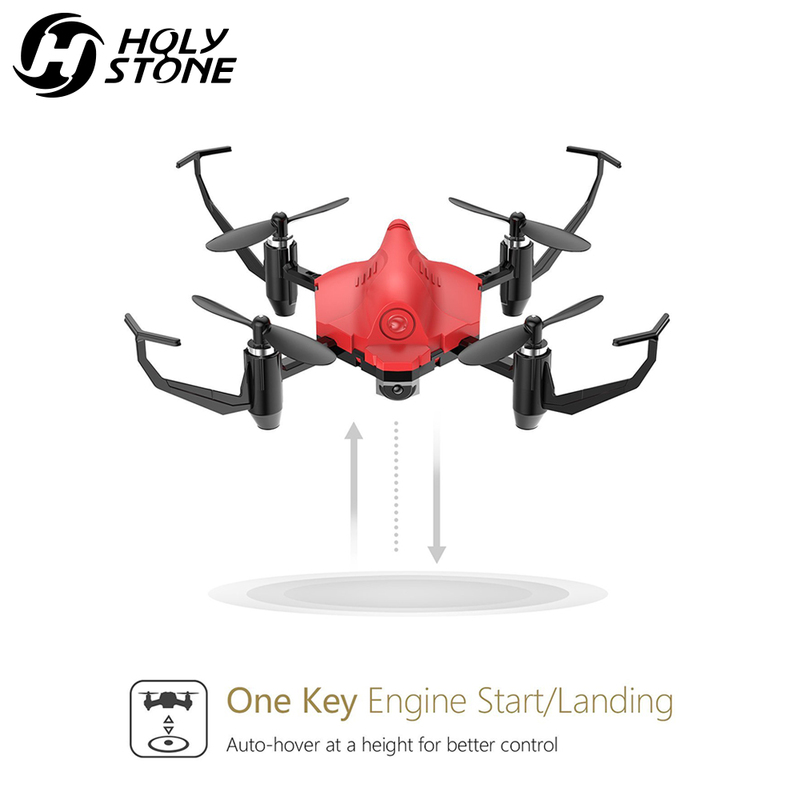 This mini drone has common functions like other drones: Altitude Hold, Headless Mode, Speed Modes, One Key Engine Start/Landing, and Emergency Stop. It is a little impressive drone for kids and adults that start to fly. 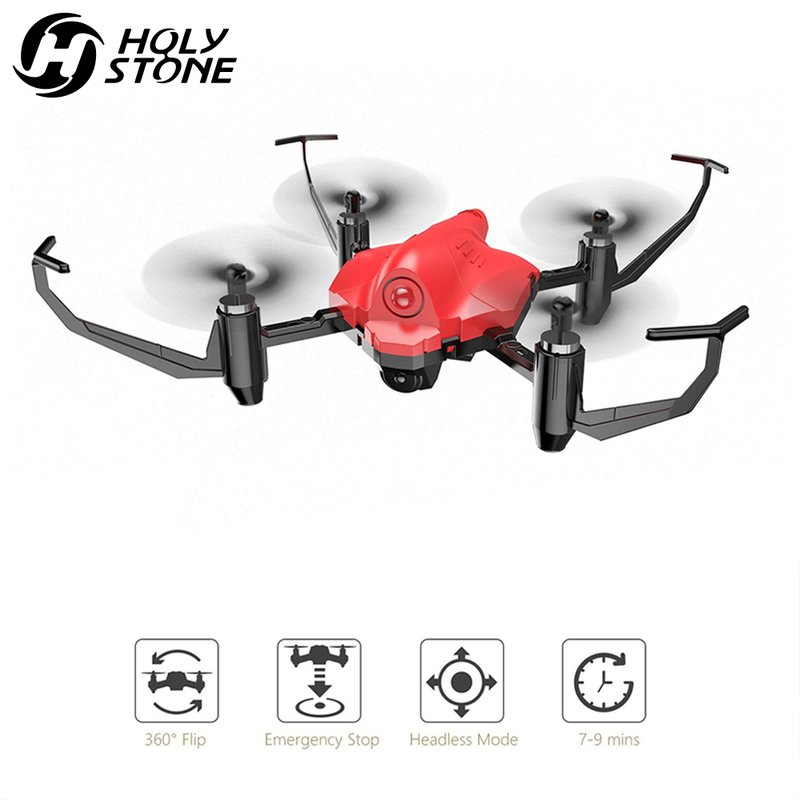 What's more, you can customize your drone with different color of fuselages, enjoy more fun from the drone! Built with altitude hold function providing stable flight, the drone can automatically hover at a certain height. One Key Engine Start/Landing, easier for beginners to control the drone. If you are new to the drone, you can start your practice at a low speed mode; after you are familiar with the drone's function and operation, you can speed up to challenge yourself. Add to my wishlist "Hubsan H111D Nano Q4 FPV HD Camera CF Mode 5.8G 4CH 6-Axis RC Quadcopter RTF---White"
Add to my wishlist "[Germany Stock]Hubsan H501S High Edition 5.8G FPV Brushless With 1080P HD Camera GPS RC Quadcopter RTF - Black"
Add to my wishlist "Hubsan X4 H107L RC Quadcopter Upgraded Version X4 GYRO 2.4Ghz 4CH 6-Axis Mini UFO RTF Ready to Fly"
Add to my wishlist "Hubsan H501S High Edition 5.8G FPV Brushless With 1080P HD Camera GPS RC Quadcopter RTF - White"
Add to my wishlist "Hubsan X4 H107C 4CH RC Quadcopter 2.4G 6 Axis Gryo 2.0MP Camera RTF - White & Red"
Add to my wishlist "Dwi Dowellin X1 Mini Drone Pocket RC Quadcopter RC Nano Drone Remote Control Helicopter Stunt Master"
Add to my wishlist "Eachine E010 Mini 2.4G 4CH 6 Axis 3D Headless Mode RC Helicopter Quadcopter RTF RC Tiny Gift Present Kid Toys VS JJRC H36"
Hot Drone for in-doors and kids. Add to my wishlist "Hubsan X4 H501S 5.8G FPV Brushless With 1080P HD Camera GPS RC Quadcopter RTF - Black"
Add to my wishlist "H501S-15 Hubsan H501S H502S H501A X4 RC Quadcopter Spare Parts Transmitter"
Add to my wishlist "Hubsan H501S High Edition 5.8G FPV Brushless With 1080P HD Camera GPS RC Quadcopter RTF - Black"
Add to my wishlist "Altair #AA108 Camera Drone, RC Quadcopter w/ 720p HD FPV Camera VR, Headless Mode, Altitude Hold, 3 Skill Modes, Great for Kids"
Add to my wishlist "Holy Stone HS177 Red Mini Drone RC Drone Quadcopters Headless Mode One Key Return RC Helicopter Dron Best Toys For Kids"